Read the rest of the Bloomberg report h e r e. The MalayMailOnLine prefers the headline Malaysia shrugs off scandal to become second quarter star. "How fortunes keep changing Bru. Unfortunately, this kinds positive news is not pushed enuf. And virally on social media by the comms guys in charge of Govt. Sigh." Well, we all can do more, Dear Reader. 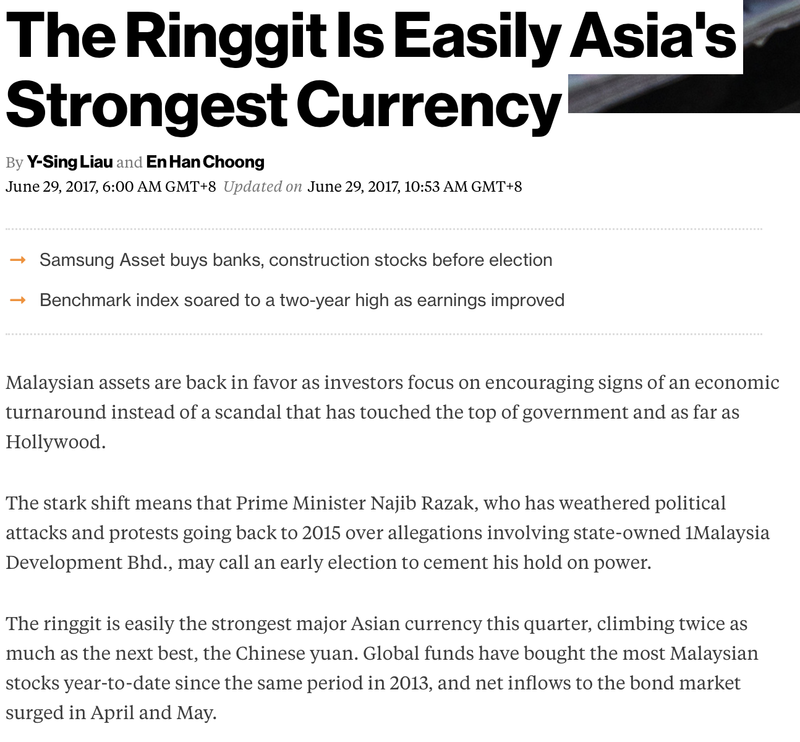 But for now, may I ask all Malaysians to pray that the Ringgit and the economy continue to do well. Some people may not like it that you asked all Malaysians to PRAY that the Ringgit and the economy continue to do well. “Rocky urged Malaysians to pray on distress Malaysian economy. Good lord, I much prefer Rocky don’t tell me disaster is imminent.